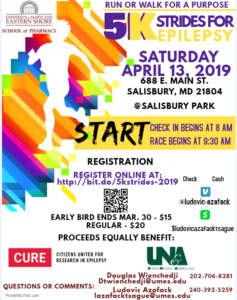 Lace up your running shoes, it’s time for the UMES 5K For Epilepsy! 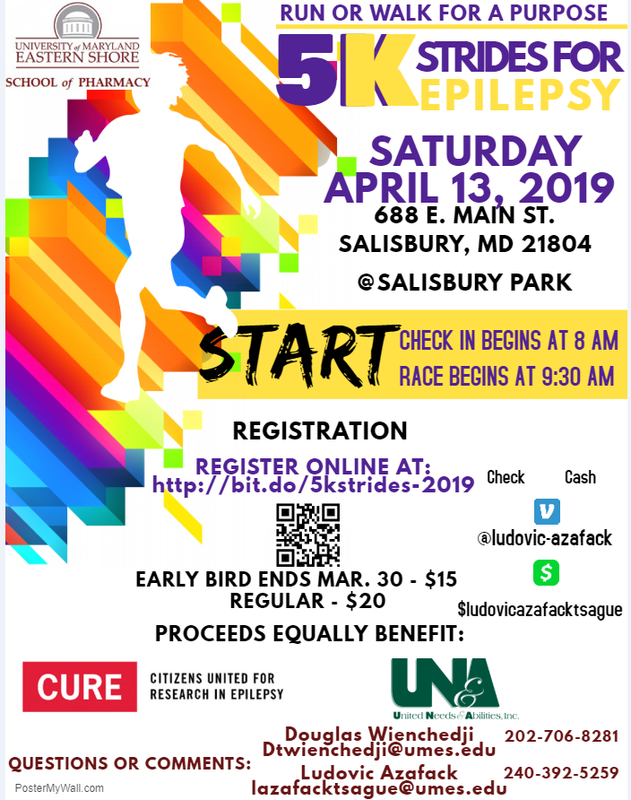 SALISBURY, Md.– At the University of Maryland Eastern Shore, Pharmacy students are trading in their lab coats for running shoes as they prepare to host their annual 5K Strides for Epilepsy. 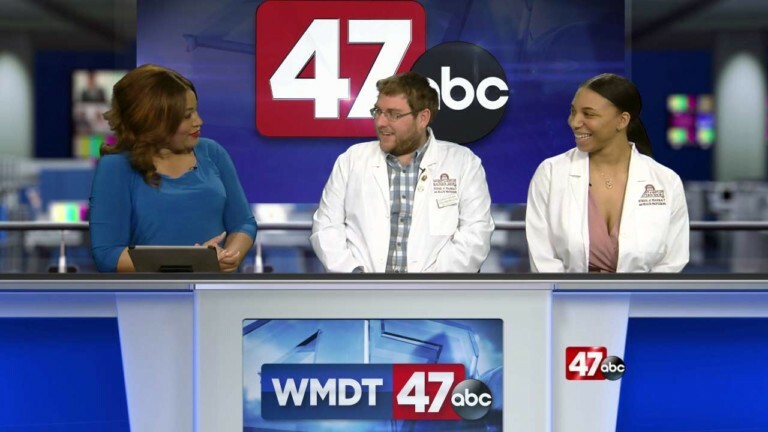 47 ABC was joined by students, Milanni Bushrod and Chris Goldsborough to talk about an upcoming event that will raise money for epilepsy research. The 5K will take place on Saturday April 13th at the Salisbury City Park along E. Main Street. Check in begins at 8AM and the race will begin at 9:30AM. Money raised from this event will go towards Citizens United For Research In Epilepsy and United Needs & Abilities Inc. Early registration ends on March 30th and will be $15, after that registration will be $20. Registration and more information can be found at www.umespsga.com.